ASED stands for Assessment Statute of Expiration Date. It is the time limit or statute of limitations that the Internal Revenue Service has to make an assessment of tax. Generally, without an assessment, the IRS can't collect a tax. An assessment is described in Internal Revenue Code Section 6203 and is the method by which the Internal Revenue Service officially puts a tax due on its "books." If the IRS fails to make the assessment (or bring suit) within the appropriate time period, it is barred from collecting the taxes. Understanding the statute of limitations is a powerful weapon our tax litigation lawyers use in fighting the IRS. This is not a complete list, but it covers the four most common situations. If a taxpayer files a return which is false or fraudulent and has been filed with the intent to evade tax, the IRS has an unlimited amount of time to assess the tax. In theory, the IRS could wait 20 or 30 years to assess the additional tax due. As a practical matter, the IRS rarely goes back more than six years to begin the audit of a taxpayer and even then, this usually happens in the context of unreported offshore income, criminal tax cases, or other unusual situations. The burden of proof is on the IRS to show by clear and convincing evidence that tax fraud has occurred if it wants to use this exception. If no return is filed, then it is as if the taxpayer had committed tax fraud. That is, the IRS can assess additional tax at any time. Once a tax return has been filed, then the three-year statute of limitations (or another appropriate statute of limitations) begins to run. During a tax audit, it is not unusual for the IRS to ask the taxpayer to extend the statute of limitations on assessment. There is no legal requirement that a taxpayer signs an extension (or a statute waiver, as it is sometimes known). Indeed, Internal Revenue Code Section 6501(c)(4) requires that the IRS notify a taxpayer that he has a right to refuse to sign the extension. Another possibility is to negotiate the length of the statute extension. In many cases, the IRS will ask for a date which is more than 18 months in the future. Sometimes the IRS Revenue Agent may be willing to settle for a shorter period of time. It is not always to your advantage to agree to an extension of the statute of limitations. It can give the Internal Revenue Agent additional time to find problems on your tax return. In some situations, the Internal Revenue Agent will claim that you need to waive the statute of limitations in order to have your case heard by the Internal Revenue Service's Appeals Division. that's not the whole story, though. In most situations, you can preserve your right to have your case heard by the Appeals Division although doing so may be a bit more costly. If you leave off more than 25% of your income from your tax return, then the IRS has 6 years from the date of the filing of the tax return. The IRS has the burden of proof to demonstrate that there was a substantial omission of income. Once the IRS satisfies the burden of proof, the six-year statute of limitations applies to all items on the tax return, not just the specific item or items that were omitted. However, be aware that the six-year rule only applies to items of gross income that are completely omitted from the return, as opposed to items which were merely understated or miscalculated. Also, there must be a 25% or greater omission of GROSS income (which is generally defined as gross receipts); thus an understatement of profits by 25% doesn't trigger the six-year statute of limitations on assessment. 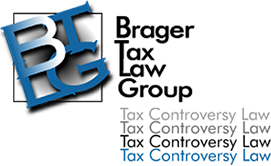 In 2012, the U.S. Supreme Court in U.S. v. Home Concrete & Supply, LLC, 132 S. Ct. 1836 (2012) held that an overstatement of basis is not an omission of gross income. So that the statute of limitations is not extended, the taxpayer overstates an asset's basis, even though gross income is reduced. In 2015 Congres overturned Home Concrete by adding a new section 6501(e)(1)(B)(ii) providing that "[a]n understatement of gross income by reason of an overstatement of unrecovered cost or other basis is an omission from gross income."